There are a lot of neuroscience and psychological factors behind the ability to effectively engage an audience with your content and marketing communications. 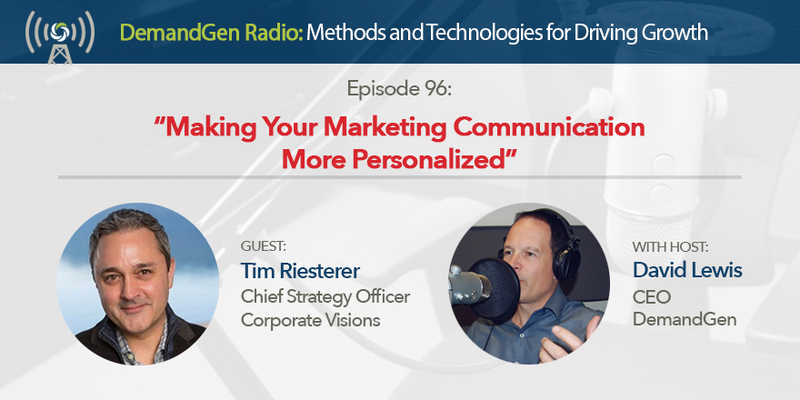 Tim Riesterer, Chief Strategy Officer at Corporate Visions, has dedicated his career to improving marketing messages and shares some remarkable methods for improving communication with prospects and clients in this episode. Listen as Tim covers how to increase email opens and click-throughs, highlights which words and topics you should include in your marketing copy, and shares whether you’re personalizing your content too much or not enough.